ABC Book - letter B | Tired, Need Sleep. I love it. I have to admit I've never been all that good at doing a lettter of the week. I'm much happier doing a specific theme, but I always admire those who can do otherwise. 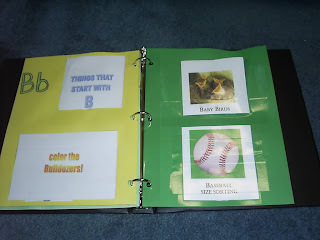 Wow - you had a lot of "B" activities and you have great resources too! I never got around to doing "a letter of the week" theme with Anna. They did it in her preschool though - she was in a class with preK kids, so they were working on phonics. I wish I could claim that that's how she learned the letters, but while she enjoyed the projects she seemed to learn the letters mostly from ABC books and starfall.com. This is a wonderful activity book, lots of really good ideas. 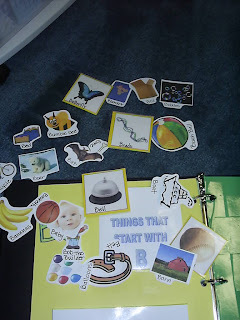 We used to do a letter/sound of the week with the youngest children in our school and they had to bring in something from home beginning with the chosen sound. They really enjoyed it. great job love your b book! are you doing that with every letter? 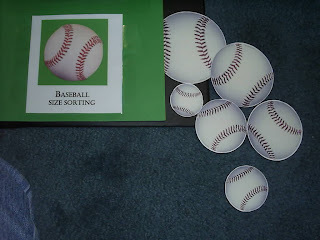 I hope to do it with every letter - maybe vary the activities a little bit. 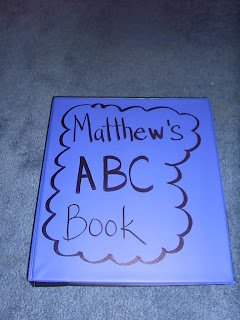 I've already started on our next letter (F) and I've got a counting game and songs to go with that one. So, it probably won't be a weekly thing because it takes some time to prepare, but yes, I hope to do it with each letter, as long as my son is enjoying it! Wow this resource is INCREDIBLE! Thanks for sharing them with us. 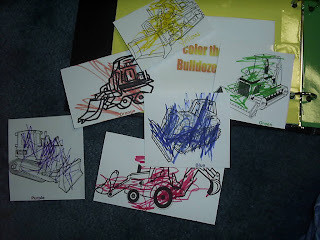 I like your idea of using the corresponding ink color for the color names in the bulldozer coloring activity. For a g book, should the hard g sound be used to differentiate from the soft j sound of j? M. Kavanagh - Personally I am shying away from teaching my son the letters that make more than one sound, for the time being. 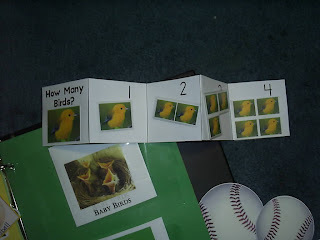 We will be working on consonants that make a single sound, then we'll work on consonants that make more than one sound, then we'll work on vowels that can make several sounds, then consonant blends, etc. This is just what I think will work best for us. When we get to G (or C) I'll tell him "this letter is special, it makes 2 sounds" or something along those lines and we'll do activities involving both sounds. At least, that's the plan for now! Thanks for stopping by!! I want to say thank you for all of your cute alphabet ideas. 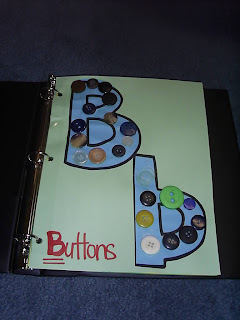 I love this "B is for Button" craft. I am hosting a new blog collaboration called The Ultimate Alphabet Craft Collection I think many of your alphabet crafts would be perfect. Would you be interested in joining? 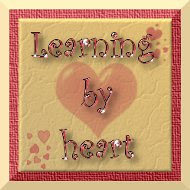 You can visit this page to link up any or all of your crafts.